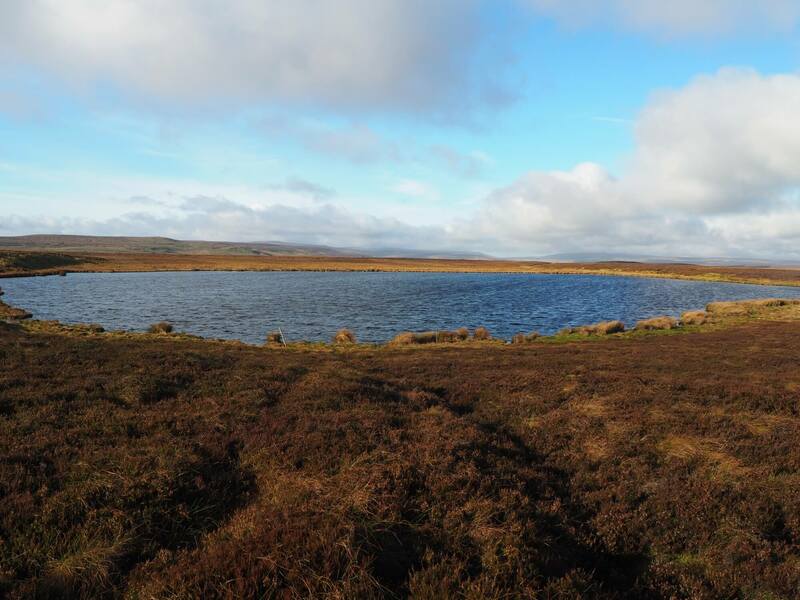 Summer Lodge Tarn is a fairly large tarn situated on Summer Lodge Moor between the two high roads climbing from Askrigg in Wensleydale over into Swaledale. 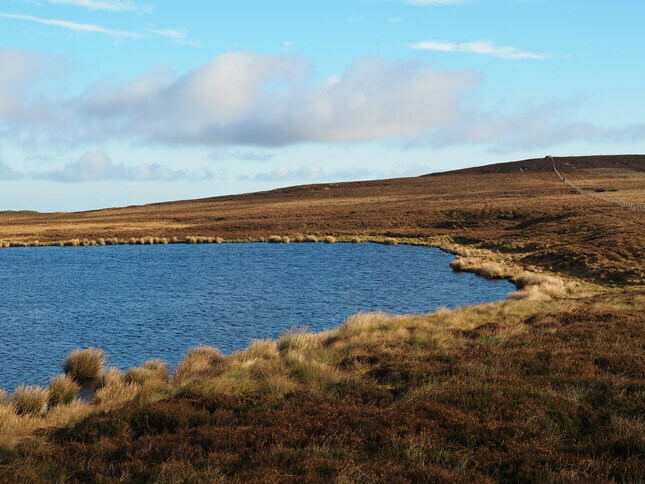 This lovely moorland tarn sits below the summit of Tarn Seat, also known as The Fleak. It is less than a mile from the highest point of the two roads that cross over the watershed making Summer Lodge Tarn fairly easy to get to for those who don’t mind a bit of a bash through heather. I’ve so far visited the tarn twice. 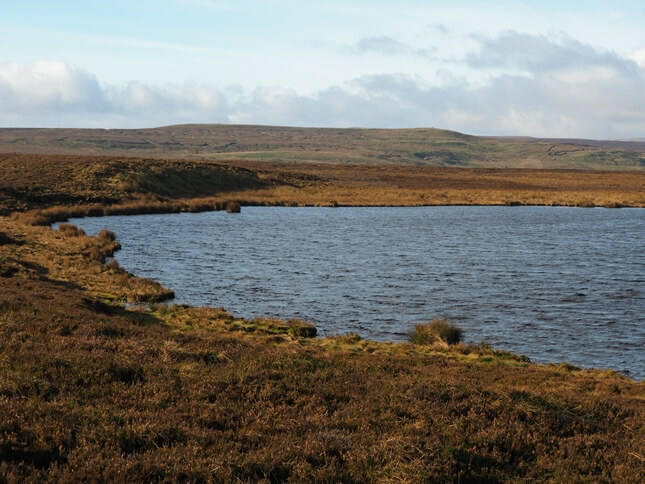 The first time was back in January 2007, where it was on my route between Oxnop Common and Tarn Seat. 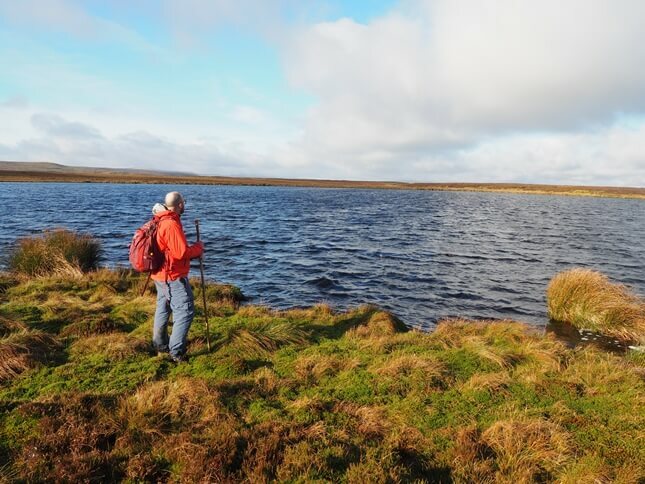 I have fond memories of the tarn and it was by the shore of Summer Lodge Tarn that my friend and I decided to eat our lunch, soak up the atmosphere and enjoy the fine views over Swaledale’s moors. It took me just over ten years to return when I was doing a similar walk but in reverse. This second visit only reinforced my earlier positive impression.